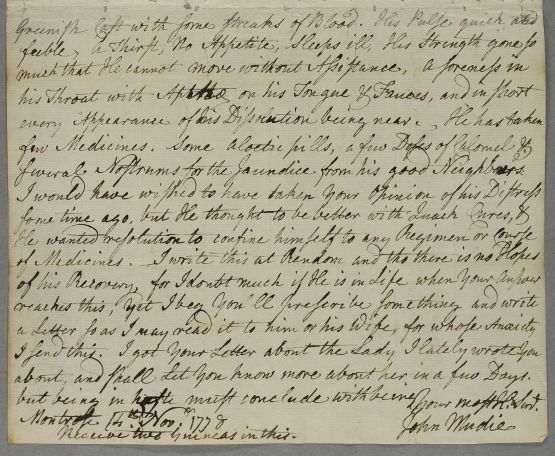 Letter from John Mudie regarding the case of Mr Scott of Crigie who ignored Cullen's earlier advice and is now dying. Summary Letter from John Mudie regarding the case of Mr Scott of Crigie who ignored Cullen's earlier advice and is now dying. 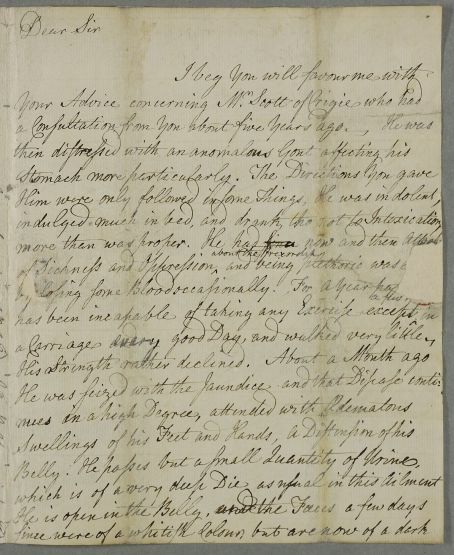 Case of Mr. Scott of Crigie, who consulted Cullen about five years earlier over his gout brought on by heavy drinking, but now has a severe and fatal jaundice. Case of an unnamed female patient of Dr Mudie, who suffers from a painful disorder located in her side and abdomen after giving birth. Several Nostrums for the Jaundice from his good Neighbours. about, and Shall Let you know more about her in a few Days. 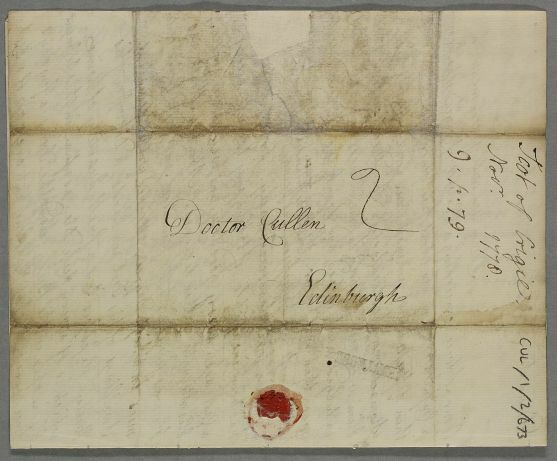 Receive two Guineas in this.